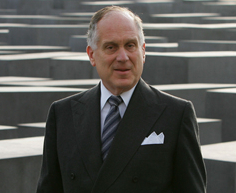 World Jewish Congress President Ronald Lauder has given an interview to Interfax-Religion in which he speaks about issues that he discussed at a meeting with Russian President Vladimir Putin, about how the inflow of immigrants has influenced the situation with anti-Semitism in Europe and about attempts to rewrite the WW II history. - What were the main subjects you discussed at your meeting with Russian President Vladimir Putin? What was the most important thing for you at that meeting? - We touched upon many subjects, and I am grateful that President Putin took so much time to exchange views on them, including the situation of the Jewish community in Russia, the growing threat of Islamist terrorism, the rise of anti-Semitism in some parts of Europe, and the situation in the Middle East. I found it particularly important that President Putin expressed his strong commitment to fighting any threats to Jewish life in Russia. We have seen real progress when it comes to anti-Semitism, and the resurgence of Jewish life in Russia is encouraging. - Radical parties and movements are growing in strength and popularity in Europe, due partly to the influx of refugees from countries in Africa and the Middle East. Does this tendency cause you any concern and will it result in growth of anti-Semitism in the Old World? - The rise of anti-Semitism is a reality, and there are a number of factors contributing to it. The situation differs from country to country. But the rise of populist, xenophobic and racist parties can be observed in a number of countries. They are not just a threat to Jews, they are potentially also a threat to our open democratic societies. We should also not ignore the threat coming from far-left parties, some of which has helped to stir anti-Jewish sentiment by advocating a boycott of Israel and questioning the legitimacy of the Jewish state. But the biggest threat today is certainly that posed by Islamists, by jihadist terrorists, by Muslim fanatics. We saw what they did in Brussels andParis, where Jewish sites among the targets. In many European countries, Jews do not feel safe and sufficiently protected today. It is important that governments address this problem. - In which regions of the world are the rights of Jewish communities infringed upon most? How do you assess the situation of Jewish communities in Russia against this backdrop? Can you see any strengthening of anti-Semitic sentiment in Ukraine? - There are many countries, mostly in the Islamic world, that once had thriving Jewish communities but where today a Jew could not live without fearing for his life. Overall, however, I think the situation for Jews in Europe is a mixed bag. On the one hand, there has been a stunning revival of Jewish life in many countries since the end of Communism, especially in Central and Eastern Europe and including Russia, where Jewish communities are thriving and anti-Semitism is relatively low. On the other hand, countries with large Jewish communities such as France have witnessed a strong rise in anti-Semitism recently. As for Ukraine, I don't see that anti-Semitism is on the rise there. Just last week, a Jew was appointed as prime minister, and the extreme-right Svoboda party has receded in recent years. So, when it comes to central and eastern Europe, I am rather optimistic. - What is your attitude to the fact that neo-Nazi movements are operating freely in the Baltic countries and organize demonstrations? - We call on the governments of these countries to take action against such groups wherever possible. It is not always possible under a country's constitution to ban rallies and marches staged by pro-Nazi groups, but at the very least, all democrats should denounce and condemn them. - In your view, how should attempts to re-write the history of the Second World War be combated? Is enough being done in this area today? - What's important is education of our children. The people trying to re-write history, those who obfuscate or deny what happened during World War II, can only be defeated if our children learn in school and in the media what really happened then. Very soon, there won't be any witnesses left who can give first-hand accounts of the terrible events 75 years ago, so it's all the more important that we put efforts in place to preserve the memory and to ensure that history is not re-written, because that would be the first step toward allowing these terrible events to be repeated. - What do you think about the Russian operation in Syria? - I don't want to be drawn into this discussion. Syria is obviously the biggest humanitarian problem today, and the international community must come together to do everything to stop the bloodshed. - Do you consider the issue of the Schneerson library to be closed after the public was granted the opportunity to view books from the collection in the Jewish Museum and Tolerance Center in Moscow? - There are rulings of U.S. courts on this, but I hope the issue can eventually be resolved through diplomatic channels.